When I recently attended the Northern Irish Designer Show at Belfast Fashion Week (seen here) I was lucky enough to meet the fabulous Sandra Stewart, a super talented jewellery designer and owner of Bohemian Chic Jewellery. Sandra’s beautiful handmade pieces caught my attention from the second I saw them! They are elegant, eye-catching and wonderfully unique. I fell in love with this stunning necklace and was absolutely delighted to be offered it as a gift from Sandra herself. 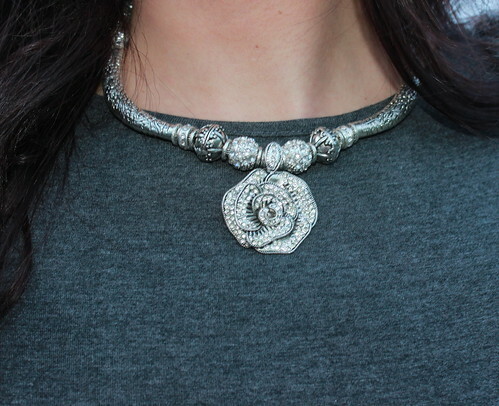 The rose pendant is so incredibly detailed with just the perfect amount of bling to set off any outfit. What is even more special about this, and most of Bohemian Chic pieces, is that they are interchangeable. The pendants clip off and can be replaced with any style or shape you wish. This way you can create so many different looks simply by changing the charm. Every second Sunday you will find “Bohemian Chic Jewellery” at the Victoria Square Market in Belfast where you can see for yourself the amazing hard work and dedication that goes into each and every hand crafted item. For anyone who will not get the opportunity to see these masterpieces for yourselves, do check out the website (www.bohemianchicjewellery.com) where you can shop ’til you drop and have these wonderful creations delivered directly to your door! I love hw versatile the pendant is. Able to change it to your liking or for your case to your outfit. Gorgeous piece. 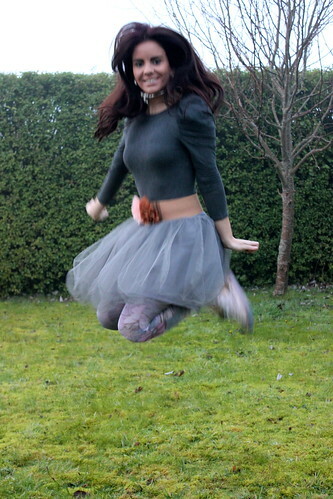 Ballerina with a twist! I really love your accessories! precioso look, el collar me fascina!!! 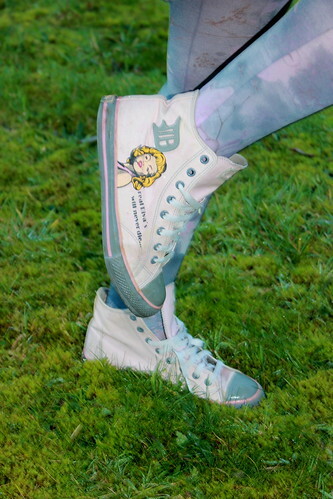 aw love the sneakers!!! <3 u look pretty! Super cute outfit. Love the sneakers! OMG you look so cute !! U look adorable!!! !Nice post, thank u for share! Also thank you for dropping by my blog and checking out my post! I highly appreciate your feedback! A very original outfit. Love the top and the skirt! 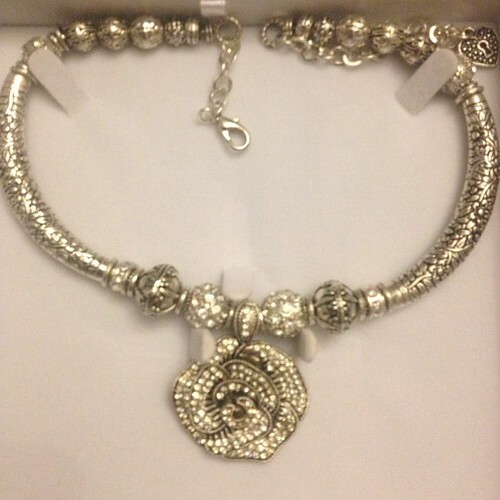 The necklace is more than gorgeous! The production is beautiful, I love that color! Love your outfit ! So Cute ! Nice .. i love the belt and the skirt ..
You look amazing, I love your necklace so much! you look stunning ans always darling! I am totally infatuated with you in these high tops. You're very beautiful.